All Day Chaga is a Longevity Program that supports our health and vitality. The aim of this longevity program is to protect, preserve, and multiply the resources of the body, vitality, and health on a daily basis. We offer three tea tablets intended for daily use. 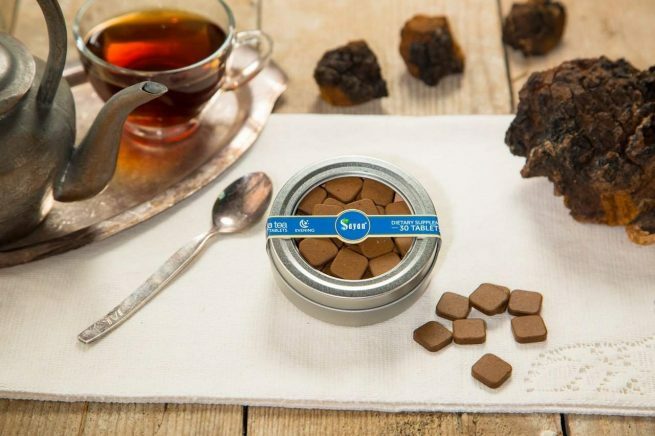 Sayan Health is the first and only company to master production technology and the rapid infusion of a unique and effective mushroom-based hot tea. 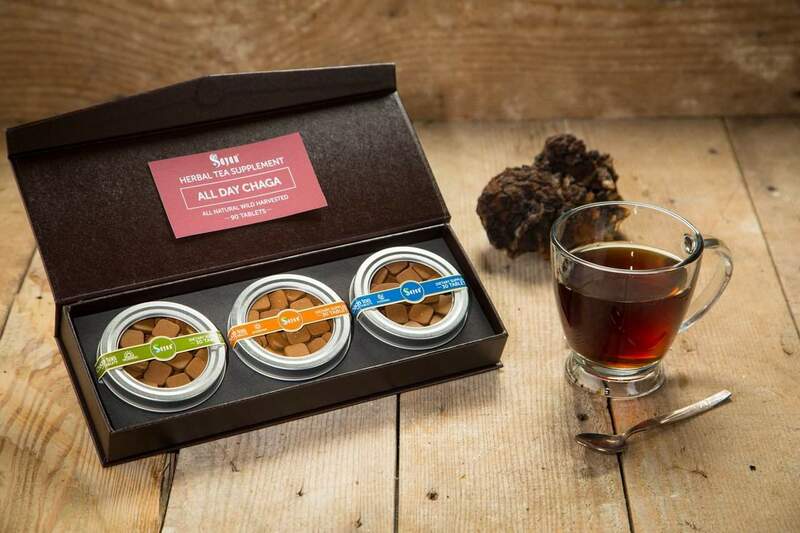 The specially designed shape of a dry “compact-extract” of chaga includes the highest concentration of active ingredients and allows for optimal dosing of each cup. All Day Chaga is a Longevity Program that supports our health and vitality. The aim of this longevity program is to protect, preserve, and multiply the resources of the body, vitality, and health on a daily basis. 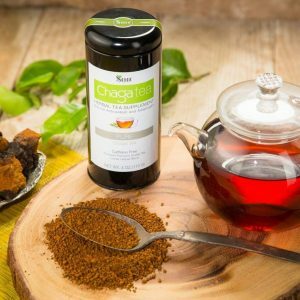 All Day Chaga consists of three effective beverages intended for daily use. 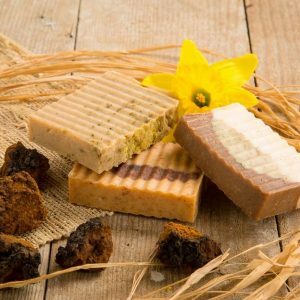 Chaga contains unique substances that are not present in any other mushrooms or plants, and has powerful antioxidant activity. Chaga mushroom contains large amounts of polysaccharides, beta-glucans, polyphenols, and flavonoids that help neutralize free radicals. Growing on birch trees, the chaga mushroom is saturated with the useful ingredients that are present in the life-giving juice of the birch tree. Birch juice is known to have a unique chemical composition. It is rich in minerals and trace elements, including potassium, sodium, calcium, magnesium, aluminum, manganese, iron, silicon, titanium, copper, strontium, barium, nickel, zirconium, and phosphorus. The concentration of glucose and fructose is only 2-4%, which contributes to its low calorie content. Birch juice also consists of organic acids, vitamin C and B vitamins, protein, tannins, and aromatic substances that have high antimicrobial activity. The structure of each of the drinks in the All Day Chaga program is a complex of natural immunity boosters, adaptogens, and antioxidants that will support your health every day. All Day Chaga is made of rare mushrooms that have remained effective dietary supplements for centuries. Chaga with peach leaf and Siberian fir extracts – evening antioxidant protection. 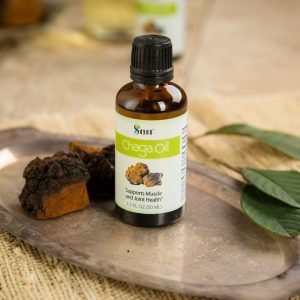 Chaga with cordyceps and thyme extracts is a formula that offers a trio of health benefits with prolonged effect. Traditional Chinese doctors have been using cordyceps for more than 1,000 years. Chinese cordyceps (Cordyceps sinensis) grows in the mountains of Tibet at an altitude of no less than 3,500 meters. This mushroom starts to grow in the ground and for 24 months, accumulating nutrients and juices, which explains its unique qualities. In China, cordyceps is called the “divine gift” and “magic talisman.” This extremely rare mushroom was used for medicinal purposes for a long time during the imperial dynasty. Cordyceps is rich in substances that support overall metabolism. Mycelium of cordyceps contains coenzyme Q10, essential amino acids, mineral salts, vitamins, and polysaccharides, which have antioxidant and immune-supporting effect. The thyme herb contains large amounts of essential oils, which have a broad spectrum of biological activity. Thyme can support improved energy levels and performance, and is sometimes used as a sedative during stressful conditions. The structure of this plant consists of many useful substances, such as gum, organic acids, flavonoids, carotene, gums, and vitamins B and C.
In the morning, brew a tea tablet with chaga, cordyceps, and thyme to recharge yourself with energy. This morning beverage, as a faithful security guard, will support defense against harmful electromagnetic smog and external stress, and pass the torch to its partner in health, the daily drink. Pour 6 oz of hot water over one tablet, steep for 3-5 min. 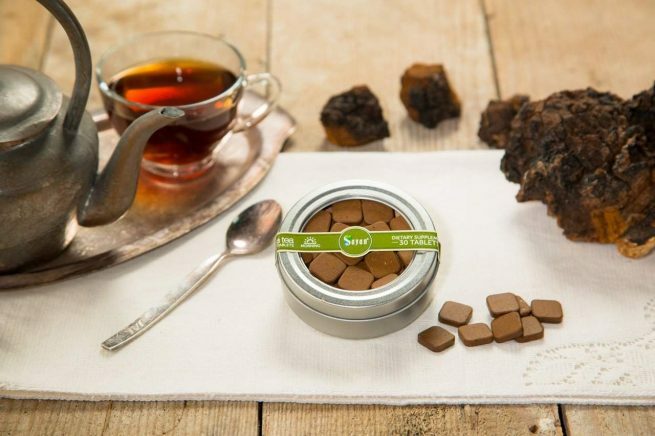 Chaga with reishi and ginger is the tea of youth and longevity and has adaptogenic properties. This tea supports health during periods of intense physical and mental stress, promotes healthy skin tone, and supports endurance. Reishi is a precious jewel in the treasury of Chinese medicine. In ancient Chinese legends, it is mentioned as a magical medicine that promotes longevity, stimulates energy levels, and supports vitality. Reishi is an adaptogen that supports the efficiency of the body, enhances the body’s resistance to the adverse effects of various environmental factors (cold, heat, ionizing radiation, climate change and atmospheric pressure, unfavorable environmental conditions, low oxygen in the air). It promotes cleansing of the body from various harmful substances and supports immune systems defense against ionizing radiation. Reishi promotes increased energy and efficiency. The fruit body of the reishi mushroom contains essential and nonessential amino acids, organic acids, fatty acids, coumarins, saponins, volatile, vitamins (mainly B3, B5, C, E), flavonoids, alkaloids, and various micro and macroelements (germanium, calcium, potassium, sodium, magnesium, iron, manganese, phosphorus, zinc, copper, sulfur, selenium, silver, etc.). A wide range of healthy attributes of the reishi mushroom is mainly due to the high content of polysaccharides, beta-glucans, triterpenoids, and germanium. Organic germanium, which is present in high concentration in reishi mushroom, promotes activation of metabolic processes and increases immunity. Ginger is a popular spice of South Asian origin. The healers of East Asia considered ginger root to be a good natural stimulator and recommended it as a means to support longevity. Ginger stimulates metabolic processes in the body, stimulates immune reactivity of the organism, supports digestion, and promotes the health of the gastrointestinal tract. Ginger has a lot of useful properties due to the content of many vitamins and minerals. Here is a partial list of compounds and elements that make up ginger root: magnesium, phosphorus, sodium, silicon, potassium, manganese, calcium, germanium, chromium, iron, aluminum, nicotinic acid, caprylic acid, oleic acid, linoleic acid, vitamin C, asparagine choline, and fats. It contains many amino acids that must be present in the body, such as leysin, methionine, threonine, phenylalanine, valine, and tryptophan. Useful properties of ginger are quite extensive. The most important feature is its positive impact on supporting healthy digestive system. Beyond giving dishes a special flavor, ginger supports ease of digestion, stimulates production of gastric juice, and regulates gastric secretions. Regular consumption of ginger supports healthy appetite levels. Ginger contains gingerol. The main property of this fennel-like substance is giving ginger a bitter mint taste, so familiar to those who like to use ginger in the kitchen. Gingerol is also known to be a very healthy substance. Ingredients: Whole Ground Chaga mushroom, Whole Chaga mushroom extract powder, Ginger Root, Reishi mushroom. 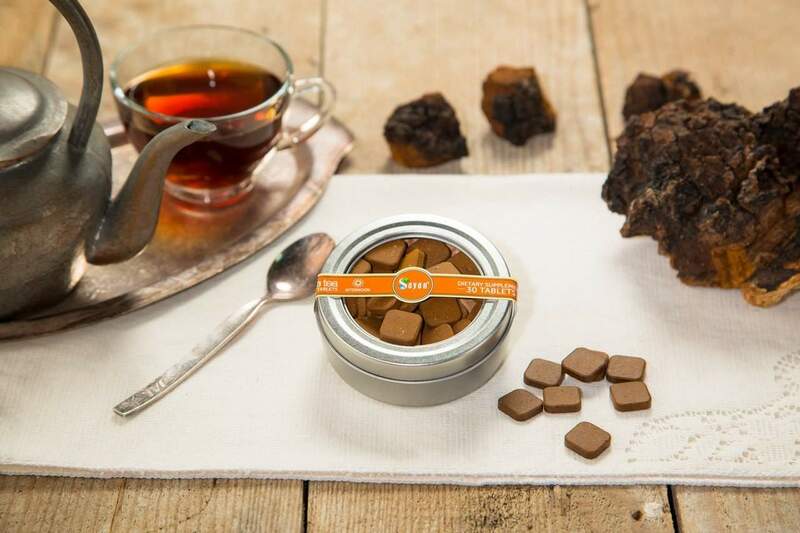 During the afternoon, brew a tea tablet with chaga, reishi mushroom, and ginger. It will support energy levels during the most intense period of the day. Pour 6 oz of hot water over one tablet, steep for 3-5 min. Chaga and peach leaf combined with fir provides strong antioxidant protection. Chaga with peach leaf and fir extracts supports the health of the nervous system and gastrointestinal tract, promotes healthy digestion, and supports body detoxification. Natural antioxidants support the cells’ ability to withstand free radical damage and promote vitality. Daily use supports rejuvenation of the body during the night. In China, peach (taoshen) is revered as a symbol of longevity and is appreciated along with ginseng. The medicinal properties of peach have been known since ancient times. According to legend, the peach tree was stolen by Buddha from heaven for longevity. Peach leaves with their natural plant flavonoids are known for their antioxidant capacity, which supports the body’s defense against free radical formation and related processes of aging. Avicenna, a famous physician of antiquity, used peach leaves and flowers in his practice. In modern China, peach is called the “tree of longevity.” Siberian fir (Abies sibirica) is a commonly known conifer of the pine family. Siberian fir has been used for its healing properties since ancient times in folk medicine to promote strength, performance, and energy. Fir extract supports the body’s resistance to adverse environmental factors, offering immunity-supporting effects. Ingredients: Whole Ground Chaga mushroom, Whole Chaga mushroom extract powder, Peach leave extract powder, Fir needle extract powder. In the evening, brew a lozenge with chaga, peach leaf, and fir. At the end of the day, the body needs to rest and recuperate. 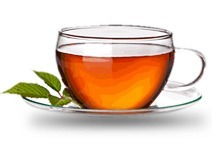 The evening drink will promote an easy transition to a calm state of mind for rest time. Pour 6 oz of hot water over one tablet, steep for 3-5 min. All Day Chaga tea tablets contraindications: Chronic colitis, chronic dysentery; use with caution for diseases associated with fluid retention. Works the way it taste, GREAT. 3 different flavors, all really refreshing and good product. Extremely effective and super good. These extracts are worth the pricing. They last a while and I can reuse if I like. Highly recommended. Enough energy in these, they can get me through the day with a positive attitude. I’m a vegan so this non-GMO tea is really for me. 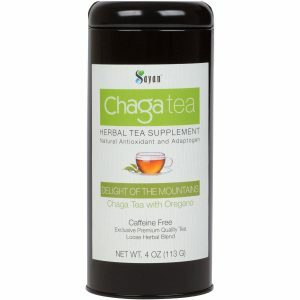 I haven’t heard of Chaga before but I’m amazed with the benefits of this tea. This could definitely replace my usual green tea. I got this as a present and I’m definitely buying one after I consumed everything. I have tried other flavors but these happen to be my favorite and I will continue to take these. Thank You. Fast tea to make and very effective. It works really fast and is really good. Definitely recommend it. Very natural/ herbal taste to it, which I enjoy personally. Thank you Sayan. I really enjoy all three flavors so I can pick a different one everyday. The taste is not that strong, kinda earthy but tolerable. This is the first time I’ve tried tea in a tablet form. The way it was packed is very handy. I can easily put it in my bag and I’m good to go.